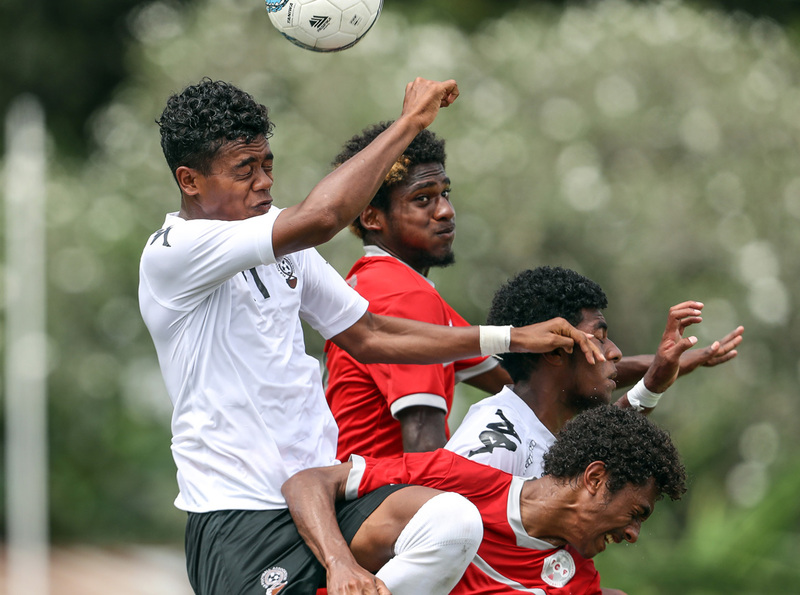 Making his debut for Fiji in the OFC U-16 Championship has motivated Nikhi Pillay to continue improving in order to one day make his debut for the senior national team, the Bula Boys. The young Lautoka-based striker started playing football when he was ten years old playing for the Lautoka FC U-12 team and now he is mustering all of his determination to excel in football. “It’s easier playing back home in our local league,” he said. “It’s tougher playing in the Oceania competition but I’ll keep giving my best for the team,” said Pillay. “It is an honour and privilege to represent my country at the international level and I’m looking forward to one day doing it for the men’s team,” he continued. The striker has played an important role for Fiji so far in the competition, and said his best memory so far has been the game against Samoa. “My best moment in this tournament is when we were down 2-0 against Samoa in our first match but we regrouped in the second half and came back to beat them,” he said. Pillay will again have an important job to do up front against Solomon Island tomorrow in a match that will determine who will make go on to represent the region in Peru and, despite his tender years, he is ready to take on the responsibility. “Solomon Island is a good team with talented and skillful players and it’s going to be great playing against them,” Pillay said.